Canon announced the Rebel T7i, EOS-800D and the EOS-77D all at once in February, 2017. 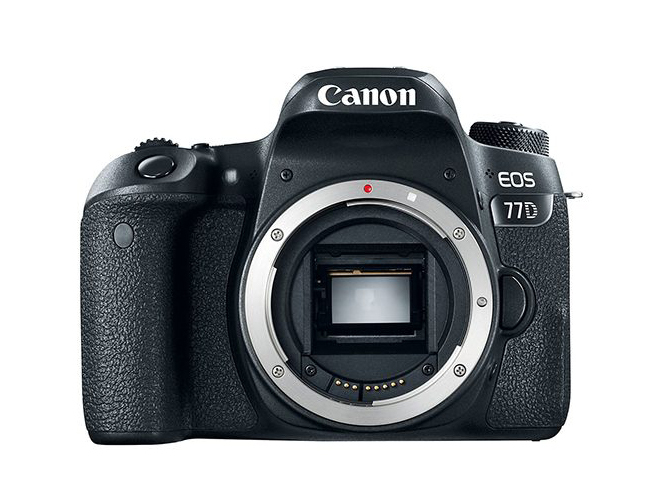 The EOS-77D camera is situated somewhere between the Rebel T7i and EOS-80D. The list price difference between the models is about 150 to 200 U.S. dollars either way. The EOS-77D is a good camera. It is a departure from the previous Rebel models and has features and layout similar to the EOS-XXD models. However, I am not sure why Canon needs to bring out the Rebel T7i for $150 less in list price and strip out some of the capabilities. Why add another name plate to the already crowded low end lineup? Just call the EOS-77D camera the new and improved Rebel T7i and really make that claim meaningful this time, instead of the old, tired cliche. You can download a copy of the Owner Manual for your perusal and decide if you want to upgrade to this camera. Many serious photographers are willing to pay $150 more than the Rebel T7i once they have seen the EOS-77D specs and have decided to upgrade from their Rebel T4i to T6i bodies. For these photographers to move up to the EOS-80D will require an additional $350 more than the Rebel T7i so paying an extra $150 and getting all the additional features of the EOS-77D make sense.